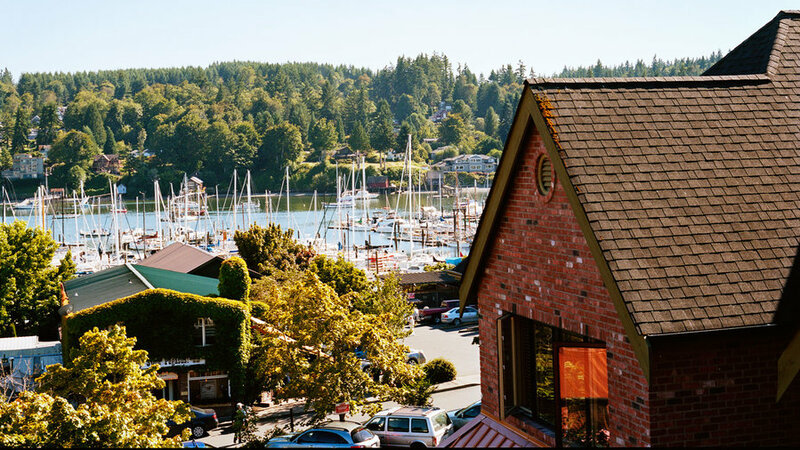 Turn one day into two: The Eagle Harbor Inn's off-season rates are a steal. From $159. Why go now: This artsy Puget Sound island is becoming one of the Northwest’s most happening destinations. Bonus: It’s just a 35-minute ferry ride from Seattle. Wine pioneer: 33-year-old Bainbridge Island Vineyards and Winery ($3 tasting; free tours 2 p.m. Sun; 8989 Day Rd. E.). Grapes that thrive here: Cool-weather whites; reds are pulled mostly from eastern Washington. Best one to bring a bottle to: Fort Ward State Park, with views of the Olympic Mountains. Up for something stiffer? Bainbridge Organic Distillers (9727 Coppertop Loop N.E.) pours Washington’s first certified organic spirits—vodka and gin. Rainy-day plan: A matinee at a Lynwood Theater, built in 1936 ($7.50; 4569 Lynwood Center Rd.). Don’t miss: Meeting the vintners at the next self-guided island-wide winery tour (Nov 13–14; fees vary by winery). Walk off the boat—and into Bainbridge’s buzzy tasting rooms. Head up Winslow Way to Eleven Winery (287 Winslow Way E.; 206/780-0905) for a juicy Syrah, then cross the street to Eagle Harbor Wine Co. (closed Sun; 278 Winslow Way E.; 206/227-4310) for Goldfinch, a Chardonnay-Viognier blend. Harbor Square Wine Shop & Tasting Room ($5 tasting; 756 Winslow Way E.; 206/780-1626) is stocked with bottles from Washington (and the world); taste locally blended wines like Rolling Bay’s spicy Manitou Red. Take a walk around the island’s new Williams-Olson Park. Pick up a picnic from Arbutus Market Kitchen ($; 450 Winslow Way. E.; 206/201-3201) and drive to the island’s new Williams-Olson Park (6200 Williams Lane), which opened in spring at an old private residence with rolling lawns leading to Manzanita Bay. Or hit local favorites Fay Bainbridge State Park or Blakely Harbor Park’s woods-to-water trail. Warm up on the water? Enjoy city views and heated seats on a cruise around Eagle Harbor. Even on a chilly late-fall day, you’ve got no excuse not to glide around Eagle Harbor in an electric cruise boat tricked out with heated seats. You and up to nine friends can hang with seals, sip wine you’ve brought aboard, and admire the Seattle skyline. From $89/hour; eagle harborelectricboats.com or 206/949-2661. Chef Brendan McGill masters homey, seasonal fare at Hitchcock, one of the island’s newest restaurants. This is more like what Jacques Pépin’s mom did than some kind of revolution,” says Brendan McGill, chef of the homey, seasonal new Hitchcock. Try the boeuf bourguignon with a Cabernet from Eagle Harbor Wine Co. $$; 133 Winslow Way E.; 206/201-3789.